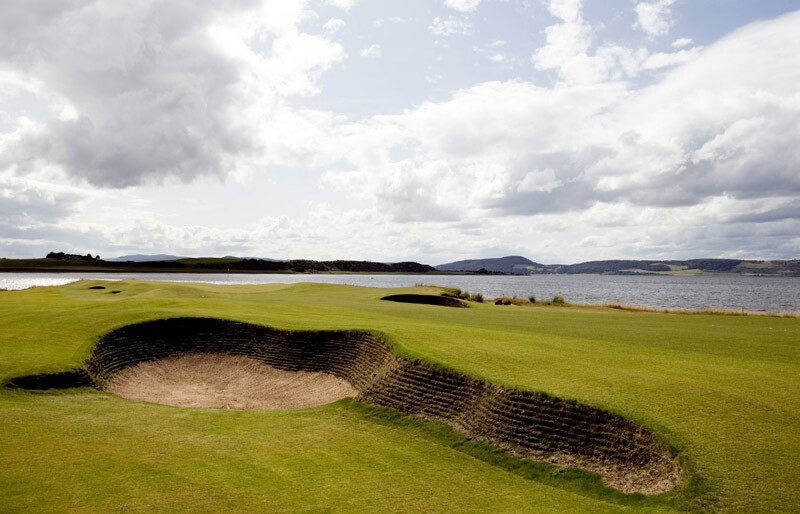 Castle Stuart is a Highlands resort that has one dramatic seaside course designed by Gil Hanse. 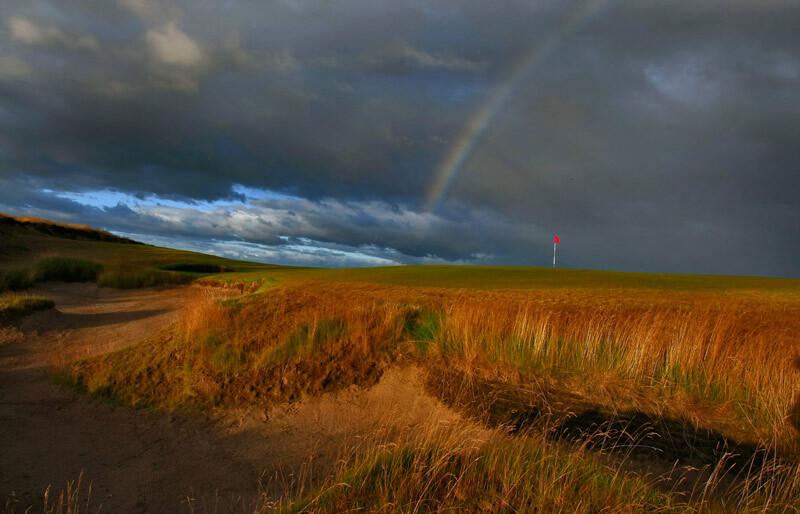 Another course is in the works, laid out by Arnold Palmer’s design company. 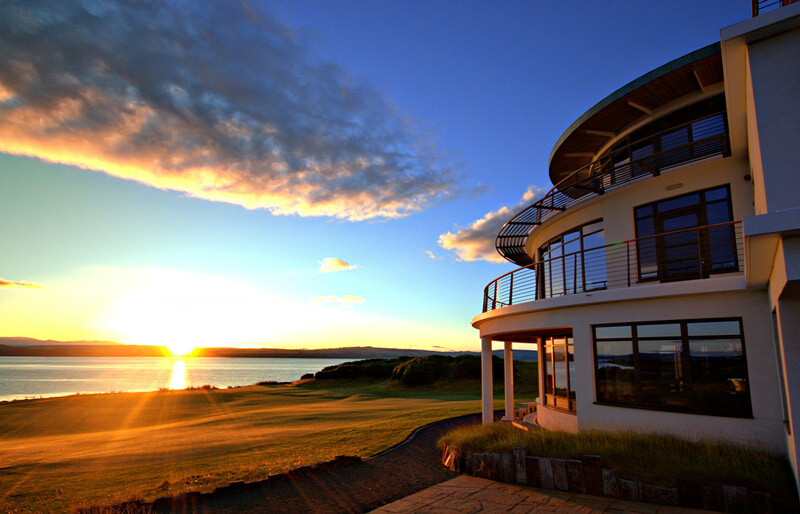 The Hanse course is two loops of nine, linked by an art-deco clubhouse with 180 degree views. 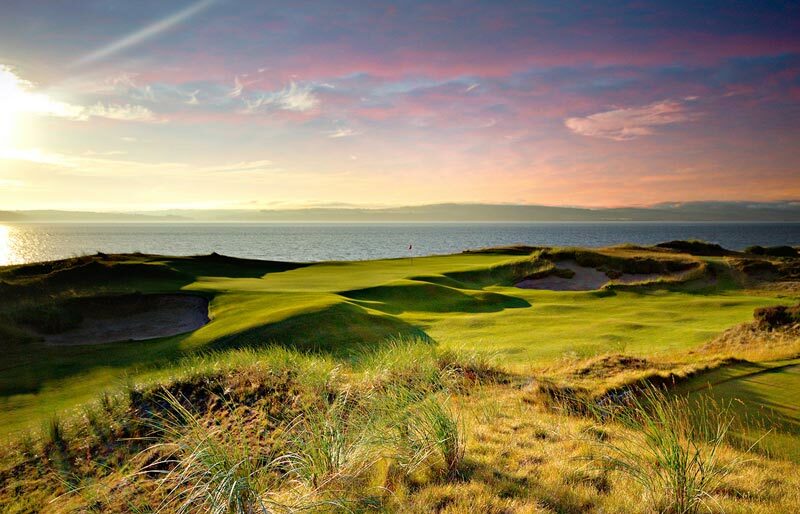 It overlooks the Moray Firth and you can also see the Black Isle. The course is known as being too easy for pros (with wide fairways and large greens) but I found it plenty difficult, with some pretty tough bunkers and sloping greens. The climb from 12 to 13 is a killer – should have been avoided by the architect. Genialer Golfplatz und eine richtige Challenge. Top Greens. Macht einfach nur Spass darauf zu spielen.